Update: The landing was going well until a few minutes before the craft was due to touch down, with Beresheet snapping a selfie just above the moon’s surface. But then a problem occurred with one of the gyro sensors, and communications with the craft were temporarily lost. The main engine went offline for a minute, and even though the team was able to reestablish contact and the engine came back online, the craft had lost too much height. The craft seems to have crashed into the moon. A sad ending for an ambitious and nevertheless impressive mission. 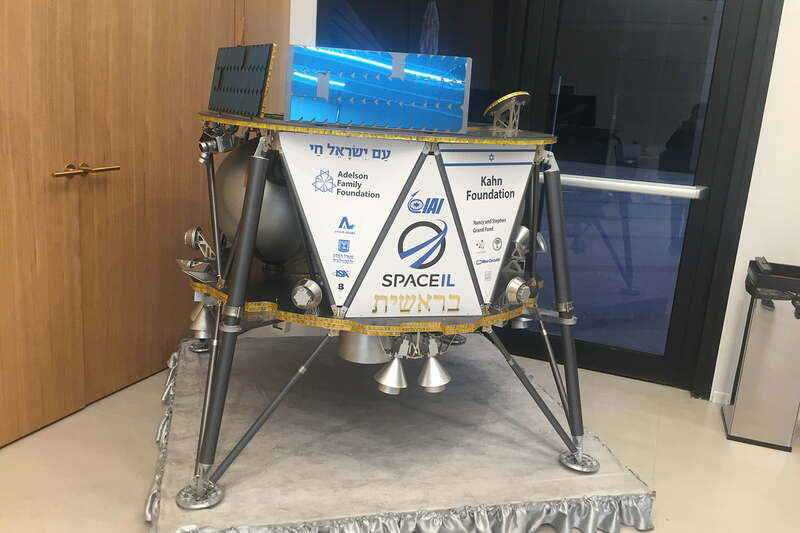 The tiny Israeli spacecraft Beresheet has already made history as the first privately funded craft to enter orbit around the moon, making Israel just the seventh nation to put a craft into lunar orbit. Now, it will face its biggest and most historic challenge yet: On Thursday, April 11, the craft is scheduled to land on the surface of the moon. The craft is small in size — it has similar dimensions to a washing machine — but it’s big in ambitions. The aim is for the craft to pull into a closer orbit around the moon, moving from an elliptical to a circular orbit until it reaches an altitude of just 250km. Then the control room on Earth will send commands to begin the landing process. A landing site has already been picked out, and it’s very exact: The target area is just 30 square kilometers (11.6 square miles). In order to land safely, the craft will have to fire its engines to reduce its speed from 6,000 km per h0ur (3,700 miles per hr) to effectively zero as it touches down gently on the surface. This firing process is autonomous, so the team back in the control room on Earth will be watching closely, with fingers crossed that the slowing process goes smoothly. In the last 5 meters (16 feet) before the craft touches down, the engines will cut out completely and the craft will free fall to the ground. If this goes well, the craft will stay on the lunar surface and collect data using instruments that include a magnetometer for measuring the lunar magnetic field. Since the craft does not have thermal controls on board, it is expected that after a few days it will overheat and systems will stop functioning. But there are passive devices like the laser reflector that don’t require electrical power and should continue working for decades to come. The craft also carries a digital time capsule that contains data including a full copy of English Wikipedia, a copy of the Torah, Israel’s national anthem and flag, and documents like children’s drawings, a children’s book about lunar exploration, and the memoirs of a Holocaust survivor. Coverage will begin at 2:45 p.m. ET today, so settle in for a lunar touchdown show!